An IVF attempt is completed with the Embryo Transfer, which is the transfer of the best, in terms of quality, embryos in the woman’s uterus. 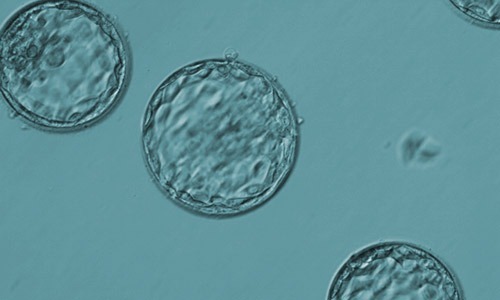 The exact day of the Embryo Transfer (2nd, 3rd day or at the stage of blastocyst) is selected depending on the number, the quality and the development rate of the embryos, the infertility history and the woman’s age. The Embryo Transfer process is totally painless and does not require anaesthesia. It is performed with precision with a special catheter and under constant ultrousound monitoring. After the Embryo Transfer, the woman remains in bed for about half an hour and then she may return at her home, where along with the appropriate medication she should rest and limit the activities that cause physical tiredness. Irrespectively of the IVF method which was followed at the embryology lab (simple fertilization – IVF, ICSI, PICSI or PGD) the outcome of the attempt is verified 10 to 12 days after the embryo transfer with a simple blood test. In case of a positive result, the blood test is repeated after 3 days and one month after the egg collection day the first pregnancy ultrasound follows.